Cross-stitching world music cultures comes naturally, and mostly seamlessly, for Rabih Abou-Khalil, whose latest album, Yara (Enja 9360; 55:48), is the latest piece of a mosaic-like discography for the Lebanese-born, Germany-based oud player. Originally written for the film of the same name, Yara emerges here as a set of tunes standing up on its own musical merits-with cinematic evocations, but also a coherent life of its own. 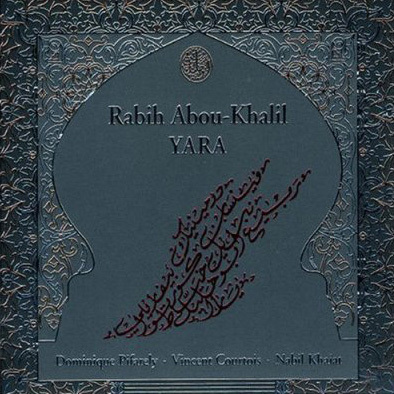 The pieces tend to be based on linear, horizontal constructions, entrancingly winding melodies played by Abou-Khalil, violinist Dominique Pifarely, and cellist Vincent Courtois, over subtle rhythmic beds of frame drummer Nabil Khaiat. More than Abou-Khalil’s earlier, randier group, with American harmonica wizard Howard Levy, this chamber setting conveys a sense of melancholic elegance, alternately bustling with subtle energy and purring with a sad, languid beauty.